It is not easy to pick your first Linux distro. You are probably not an expert, which means you need a beginner-friendly operating system. Although that does narrow your choice, you still have several great options. 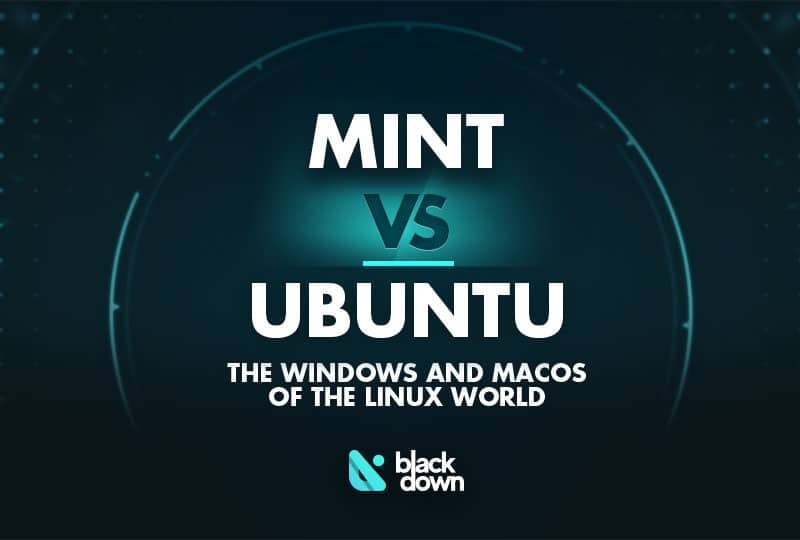 If your selection has come down to deciding the winner of the Linux Mint VS Ubuntu duel, we hope this article can help you. We went through the characteristics and features of both Linux-based OSs, and we hope that you will know which system works better for you by the end of this guide. Also, we have written a guide on the best Linux distros to pick in 2019 if you need advanced research on each distro. Want a safer and stable operating system. Have an old machine that can only run a light Linux distro. Have enough tech-related knowledge that they are ready for an open-source environment. You should note that this comparison is primarily aiming at the beginners and those who are looking for an operating system that is perfect for entering the Linux world. However, that doesn’t mean knowledgeable developers and other tech experts can’t find this comparison useful. On the contrary, we have detailed each segment of the Linux Mint and Ubuntu’s performance so that we can see which is better in various categories. If you scratch under the surface, you will find out that Linux Mint and Ubuntu have plenty of features in common. The difference is in why they were created. At first glance, you would say that Linux Mint is the distro created to be a Windows alternative while Ubuntu aims to resemble Mac more. That part might depend on your taste, but make sure to read the entire comparison to figure out which distribution fits your preference better. As it is the case with most Linux-based operating systems, Ubuntu and Mint are not that demanding when it comes to requirements. If you compare the two, you realize that Mint has minimal system requirements that even ancient machines could meet. As a result, we would recommend this operating system if you have old hardware. On the other hand, the Gnome desktop environment that Ubuntu offers will require a bit of power, but it will offer an attractive interface in return. If your hardware is of moderate strength, the chances are you will be able to run Ubuntu. We recommend it if you are a fan of contemporary design and aesthetics. While we are on the topic, let’s mention that you shouldn’t have any problems with installing any of the distros. The process of setting them up is simple and shouldn’t take more than a couple of hours. You might be worried about how difficult it is to find your way through menus, apps, and other Linux functions. As long as you choose Ubuntu or Mint, there is nothing to worry about in this area. Please note that you can choose different desktop environments for both, but we will compare the default ones in this article. Linux Mint uses Cinnamon, which will remind you of Windows because everything you need is in the bottom of the screen. Ubuntu, however, turns things around because it utilizes a top bar and a right-side panel. You do have the option to move these panels if you use the Tweak tools, but the default settings might require a while to get used to where everything is placed. When it comes to the collection of apps you get as soon as you install your preferred distro, Linux Mint and Ubuntu are once again quite similar. The important thing to mention is that you will get an Office suite, as well as an internet browser and various useful software you may need at the start of using your operating system. If you compare the two, we would say that Linux Mint is a bit better when it comes to the default software collection. The reason is simple – it includes GIMP and VLC, which belong to the group of the best apps available on Linux. Keep in mind that you might need to install the media codecs, but that shouldn’t be that difficult to do if you access the software manager. On the other hand, Ubuntu might require you to use the terminal and enter the necessary commands to install the codecs. That is still relatively easy, but it does require a bit more effort on your side. Here is an interesting area to compare the two operating systems. The next question in our Linux Mint VS Ubuntu duel is which distro is easier to customize. The idea is to make the graphical interface as friendly to your needs as possible. First, we will analyze Ubuntu. The process of installing different themes is fairly easy, and the entire customization process is done via the Gnome Tweak Tool. If you use that tool, you can change items and other details of your operating system. The biggest advantage of Linux Mint is that it already comes with a bunch of themes and widgets that were developed by the community. That makes the process of customizing fairly simple, but the range of options it offers is not as rich when compared to Ubuntu. The great thing about both distros is that you can change the desktop environment if you do not like the default one. Apart from Cinnamon, Linux Mint allows you to pick Xfce or MATE graphical user interface. The option of choosing KDE was available until recently, but the development was abandoned. When it comes to Ubuntu, the default environment is Ubuntu Gnome, but you can also pick Xfce, MATE, Budgie, LXDE, and KDE Plasma. By doing the simple math, you realize that Ubuntu comes out on top in this section. The beginners will appreciate knowing that both operating systems feature a software manager that is graphical and fairly easy to use. If we are getting into details, it seems that Linux Mint offers a system that is faster and seems to have a clearer interface. However, the category system of sorting apps ensures that you can find the preferred software in a matter of seconds. As for software sources, you will need to learn a thing or two about PPA management. That will enable you to add repositories to install various software that is not included in the software manager by default. While adding and managing PPA is not difficult, newcomers might make a mistake or two in the process. That is where the option to reset PPA settings to default is useful. It is only Linux Mint that offers you the chance to reset everything in a couple of simple clicks. If you are wondering about upgrading the system or any of the apps you installed, the process is simple as you can check for updates directly from the software manager. Who Has Better Community Support? Community support is essential for Linux-based operating system. The good news is that Ubuntu and Mint both excel in this area, but if we compare only the two, there is no doubt that Ubuntu has the edge. That is because a reputable company (Canonical) supports this distro, and it has numerous teams that gather system fans that work on improving the general performance of the OS. Ubuntu also has a clear plan of releasing new versions. An improved version of the OS is released twice a year, and once every two years we also get a version that guarantees long-term support (LTS). The LTS always lasts for five years, which means that you can use that same version for five years and get all the security updates and other patches. Although Linux Mint doesn’t have a clear schedule, they still enjoy large community support. New versions appear regularly, as well as significant updates. Can Companies Use any of These Distros? Ubuntu was developed by a company in the first place, which is the reason why they are claiming their operating system is optimized to be used in the corporate world. Many companies accepted that, and you can find businesses throughout the globe that use Ubuntu on their servers. It is interesting to note that public and government institutions also accepted Ubuntu as their official OS. Linux Mint is an operating system focused on individuals and private use at home. Although there is no reason why companies shouldn’t use it since it is stable, secure, and fast, we just haven’t noticed that the businesses often use this distro. Can I Play Games on Linux Mint or Ubuntu? You can play games on both, and both distros can be a great choice depending on what you need. On one side, you have Ubuntu who has excellent compatibility with the latest hardware. In the opposite corner, it is Linux Mint that doesn’t take a lot of working memory, which leaves a lot more hardware strength to run games. Ultimately, it depends on your preference, but the crucial thing to note is that you can play games on both systems. We recommend you to install Steam. With it, you will find free games to play in your spare time and those will definitely work with any Linux running machine. We can name several strong reasons why you can choose each of the distros, which is why there is no clear winner in the Linux Mint VS Ubuntu duel. The critical thing to pinpoint is that both systems are reliable, safe, and even beginners can use them. Linux Mint is less demanding when it comes to hardware, and you can run it on ancient machines. It is an excellent alternative to Windows due to the similarities in the GUI. The customization of the desktop environment is simple, as well as PPA management. The system also includes a wide range of pre-installed apps. On the other hand, Ubuntu is the most popular distro among both individual and corporate users. It offers modern and attractive graphics and the choice of several different desktop environments. The OS also has a clear release schedule and a five-year LTS. It may be a bit more difficult to customize in some areas, but you will be satisfied once you get ahold of how everything works.